Central Valley Farm was founded in 1948 by Isaac T. Huff. 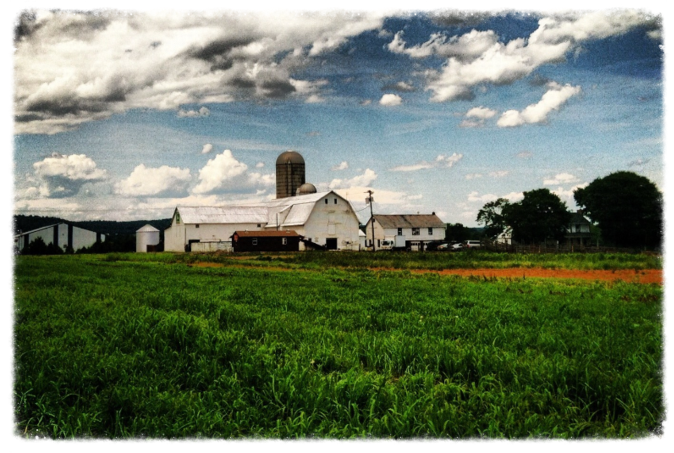 The farm is located on the same property now as it was then in beautiful Bethlehem Township in Hunterdon County NJ. The Huff family has been farming in the area for over 100 years. Isaac started Central Valley Farm as a dairy farm and eventually his son, James Huff, took over for him. Today the farm is being run by 3rd generation, Edward Huff, and 4th generation, Brian Huff. While Central Valley Farm is still a dairy farm, and carries dairy products, we have also expanded our farm to include a full line of produce, herbs, and cut flowers. Central Valley Farm also raises grass feed cows for ground beef and laying chickens for farm fresh brown eggs.